Typically, you see Vertical Lifts deployed in heavy industrial settings. 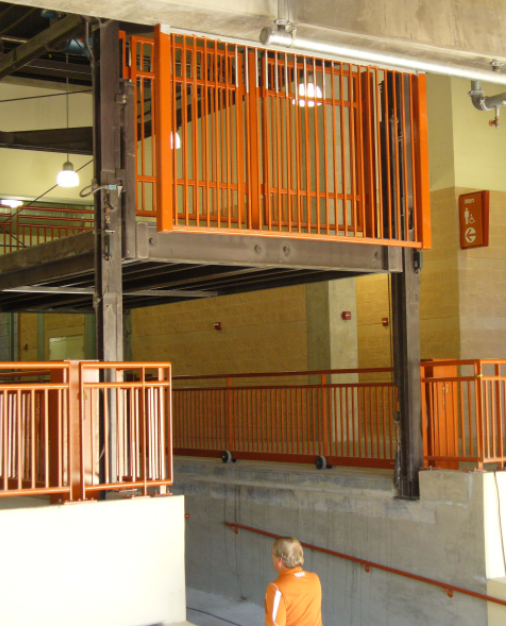 They’re frequently used in multilevel facilities, in manufacturing plants, or paired with a mezzanine. Cisco-Eagle’s Houston office broke that mold by implementing a lift in a unique application: to help the University of Texas marching band access the field.